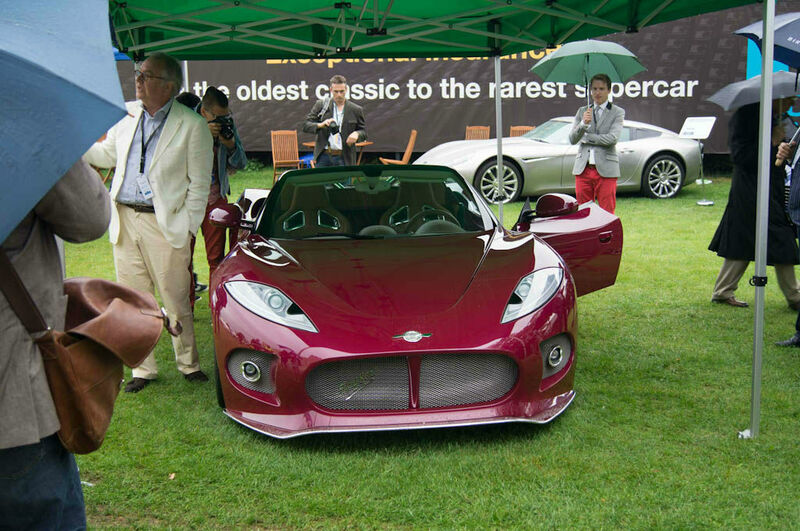 On a rather soggy September Friday, I attended Salon Privé at London’s Syon Park. 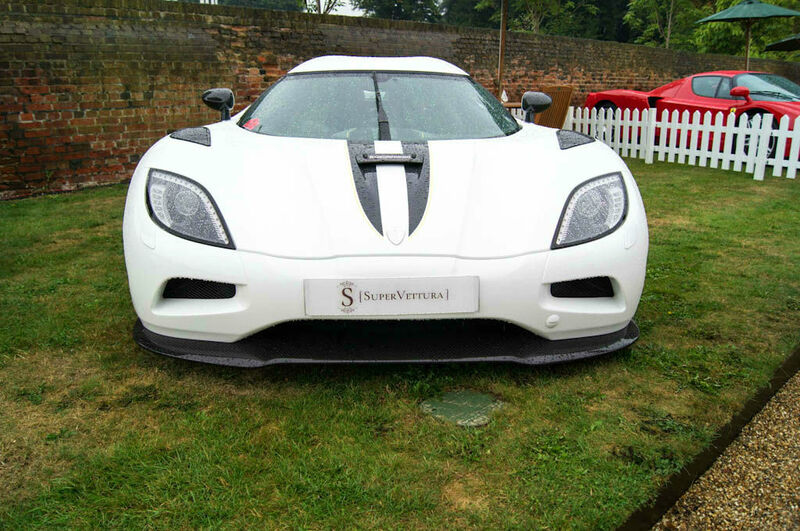 It’s a ‘boutique’ style motor show that is billed as the most exclusive in the UK. Think along the lines of Pebble Beach…but without the Cali sunshine you can count on! Syon Park is a stately home on the outskirts of London, it’s a truly amazing place. Turn down a few generic London side streets and you are into open sprawling grassland, very odd for such a busy, traffic congested metropolis. As you walk in you are met with an abundance of the rarest cars on the earth. 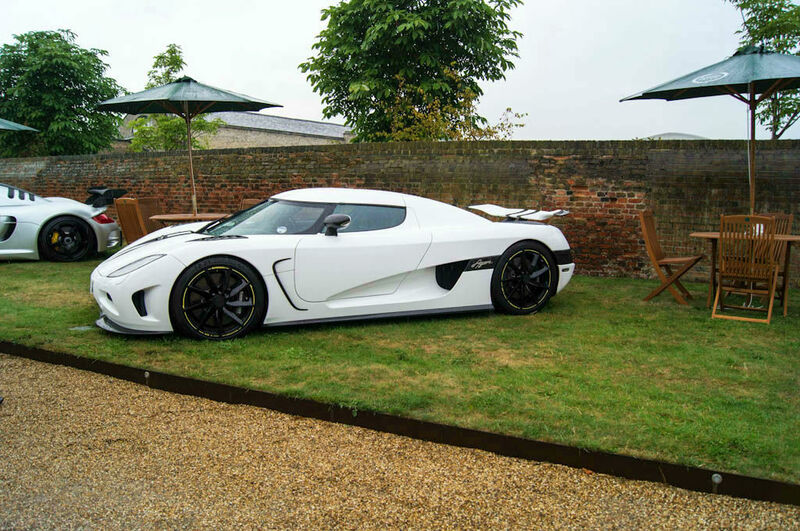 Look to your left and you see the brand new million pound Pagani Huayra sitting alongside a Koenigsegg Agera. Look right and you see a Le Mans winning LMP Bentley, with a Clark Abel Dakar inspired Evoque sitting menacingly behind it. The main attractions for us however were the two unveilings of the day, Spyker’s new B6 Venator Spyder and the Icona Volcano. Both were at Pebble Beach not three weeks ago! 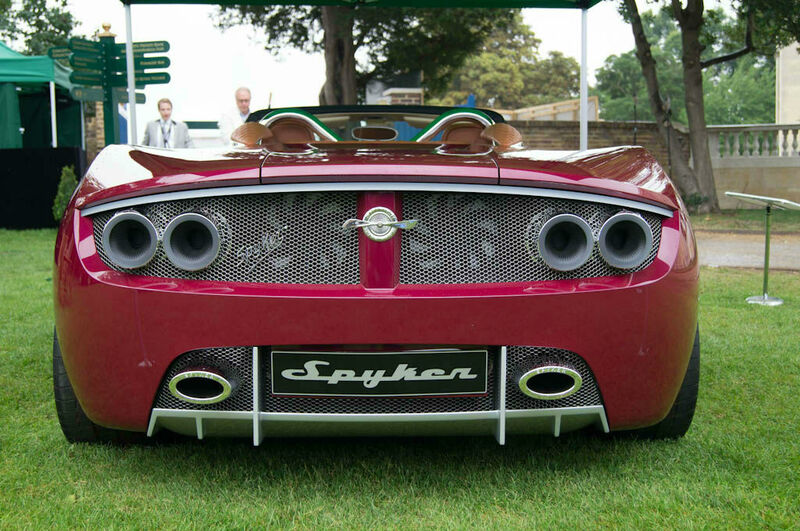 Spyker’s B6 Venator is stunning, compact, stylish and different. 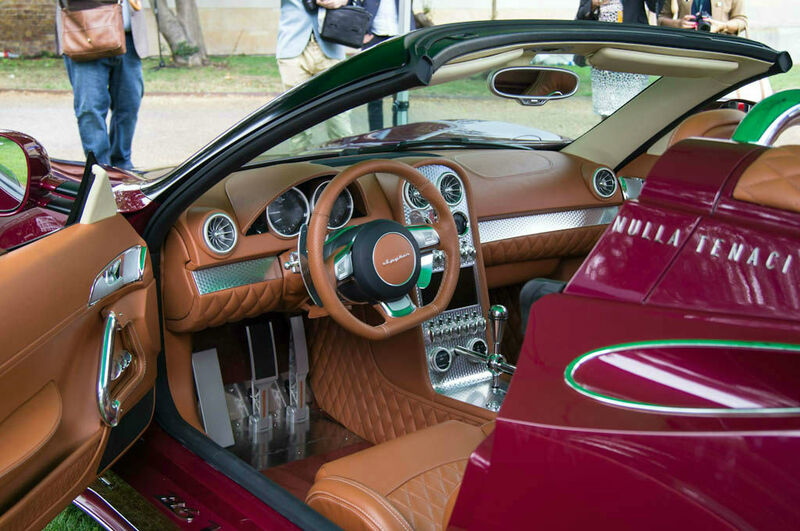 It has the same great assets as the larger C8 aileron, but brings Spyker to a different market. With around 380 BHP it’s no supercar, but it will be exclusive, so expect a hefty price tag. Oh and for a fee you can have matching Louis Vuitton luggage that fits nicely behind the front seats. Icona’s Volcano on the other hand is an all-out hypercar, with upwards of 900 BHP and a hybrid powertrain. It will first turn a wheel in anger sometime next year. 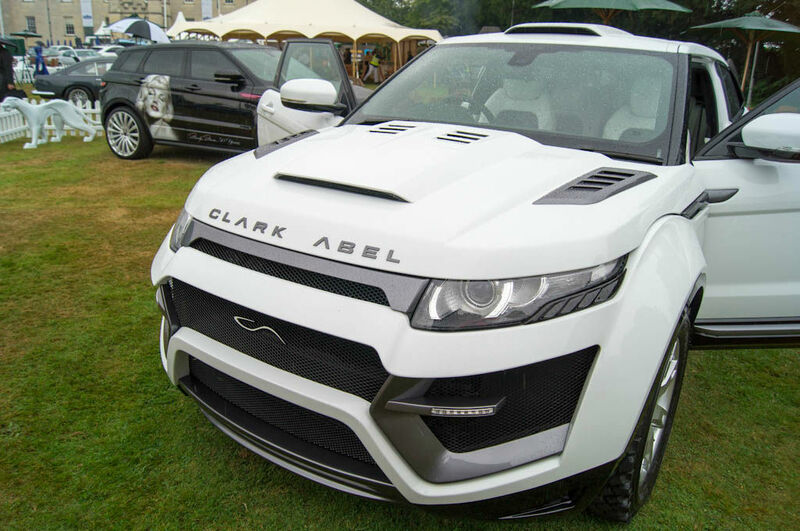 Its design lines aid its aerodynamics, and are meant to evoque emotion and feeling. It certainly looks good…from some angles, and at £1.9 million it’s aiming to be a LaFerrari rival. Moving on swiftly we headed over to the hyper car collection. 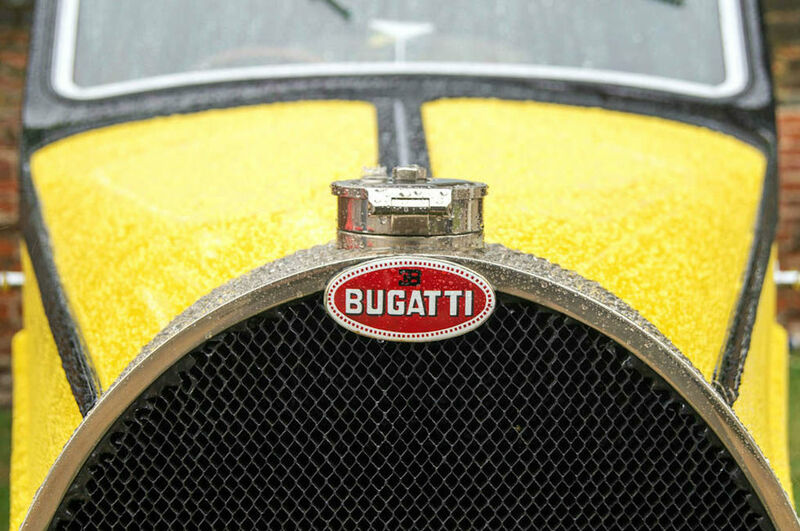 On the way we couldn’t help but notice the drop dead gorgeous Bugatti Type 46. 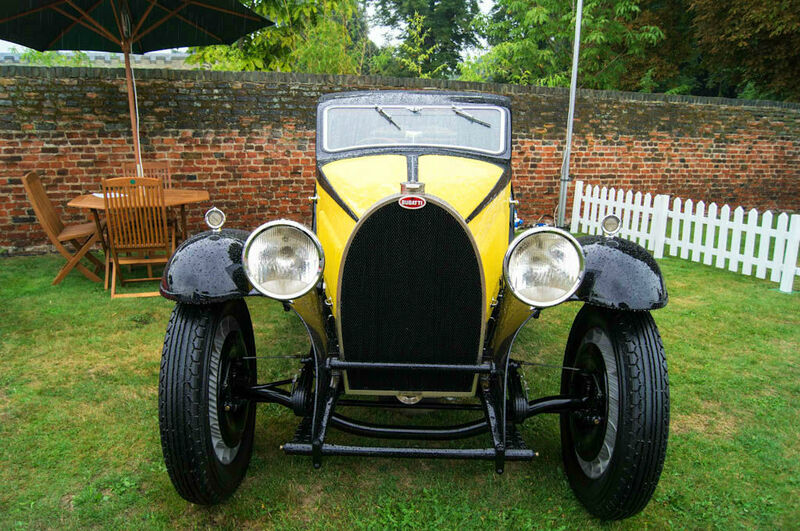 This black and yellow machine is valued at a million pound and has undergone a complete rebuild in recent years. After we finished dribbling over the Bug, the Dino next to it and the classy Mercedes 300SL drop top…we finally arrived at the hyper car collection. 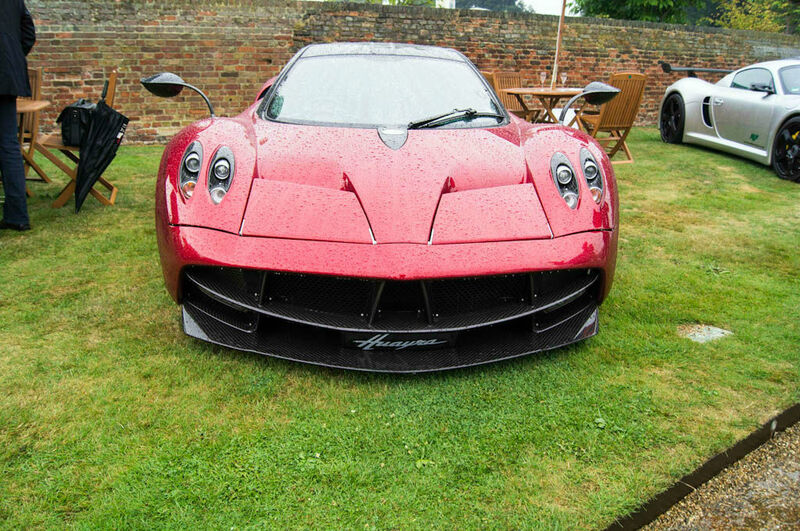 Pagani’s Huayra was within spitting distance of the low, sleek Agera, which was again within feet of a Ferrari Enzo. No other show in the UK could give you this! Under the pitter patter of rain on our umbrella we stood with complimentary champagne in hand admiring the spread of cars on offer. Within our gaze was Rolls Royce new Wraith, along with a Veyron and two McLaren 12C’s. 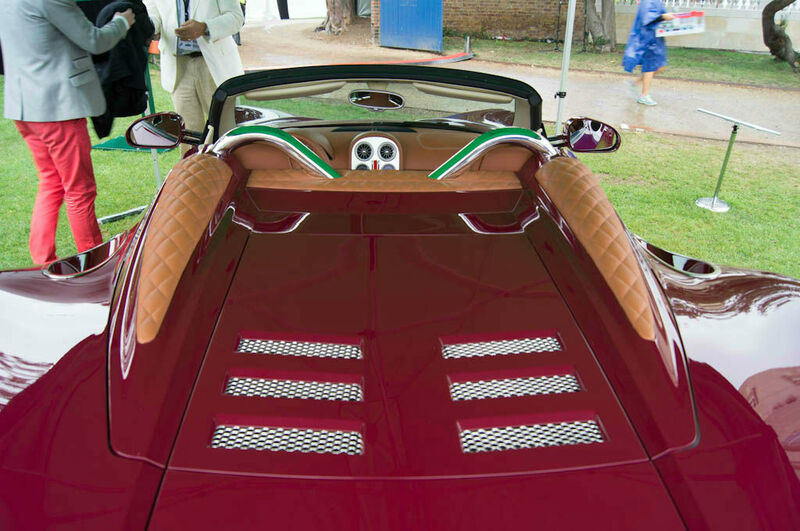 The best thing about Salon Privé is the intimacy of the place – all the cars are accessible, up close and personal; no barriers or plinths here! You can even sit in them if you ask really nicely. 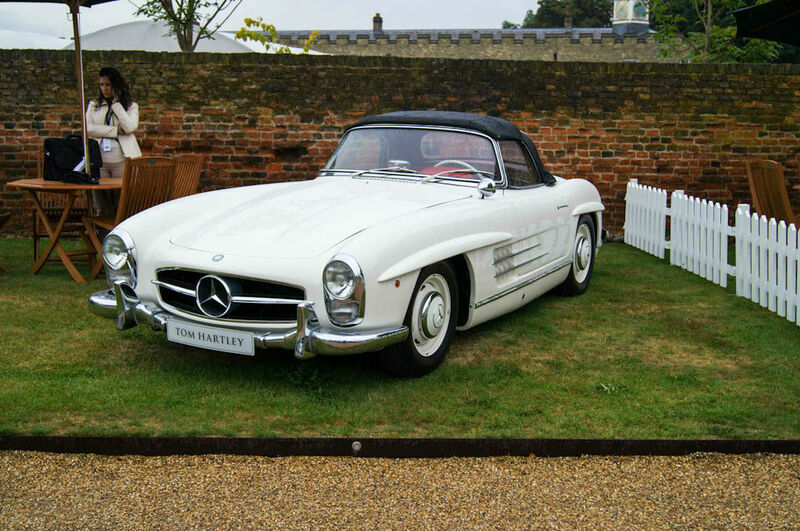 Finally we explored the Concours Lawn. The winners had already been announced on the previous (blisteringly hot) day. 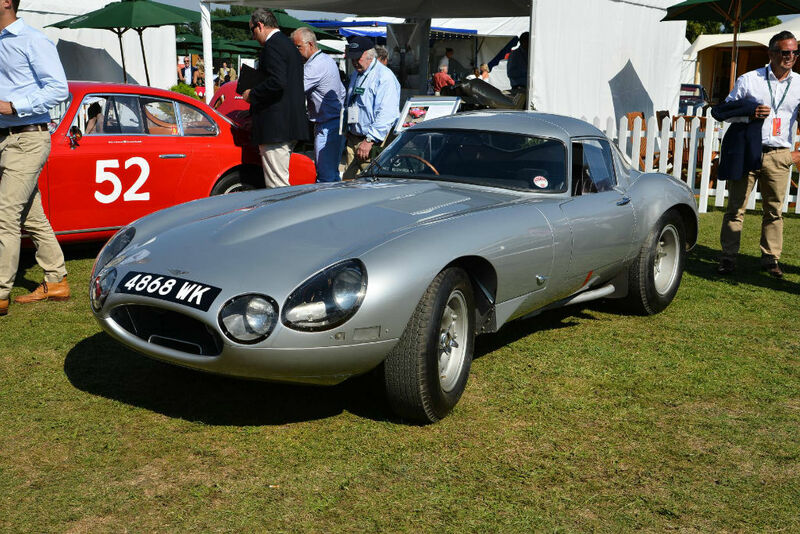 One especially noteworthy car was the Low Drag Jaguar E-Type (one of 12 ever built), this car had crashed during the 1963 Le Mans, killing the driver and 4 others. 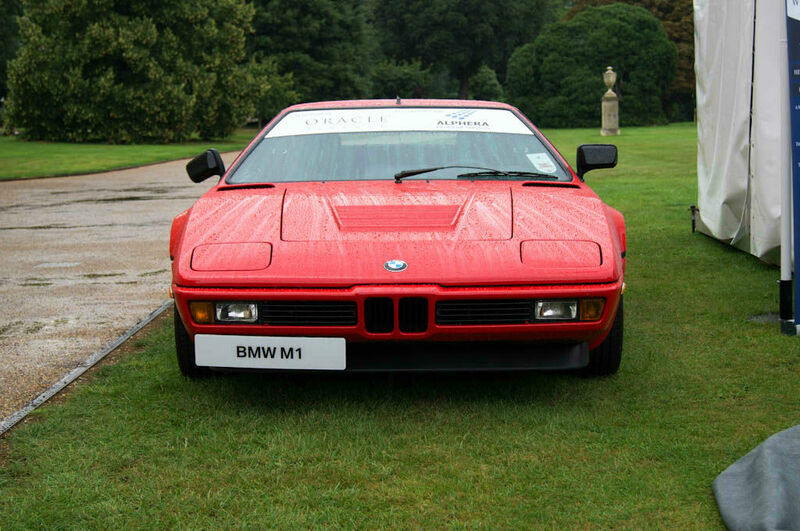 It was considered a write off, but 7,000 man hours later it is now an eye watering £5 million classic car! 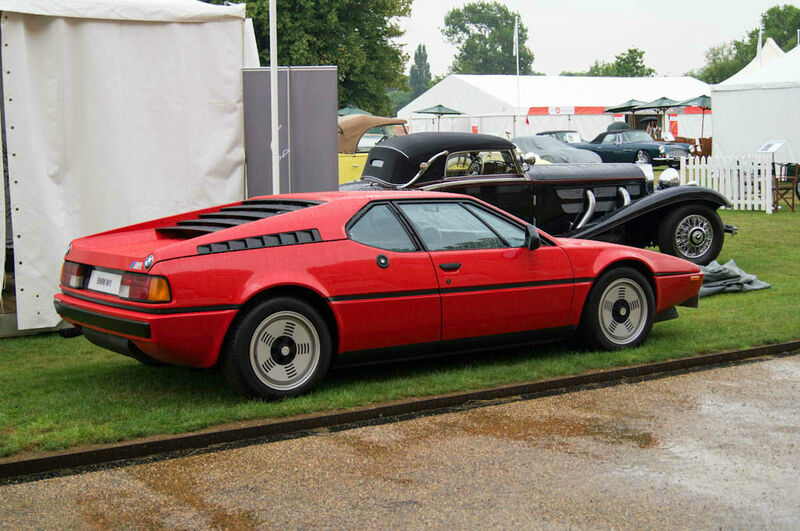 Over in a corner we spotted a BMW M1. This was the first time I have ever seen one up close. 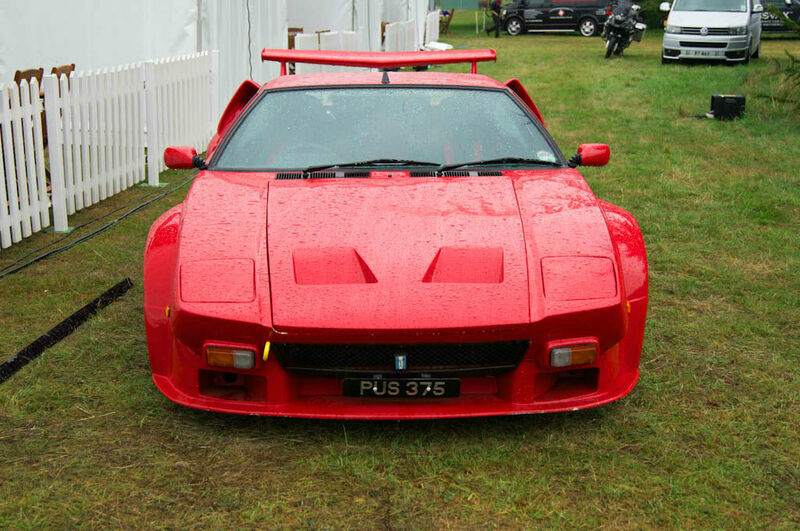 Its 80s wedge type shape and dished alloys are just as impressive in the flesh as they in pictures. 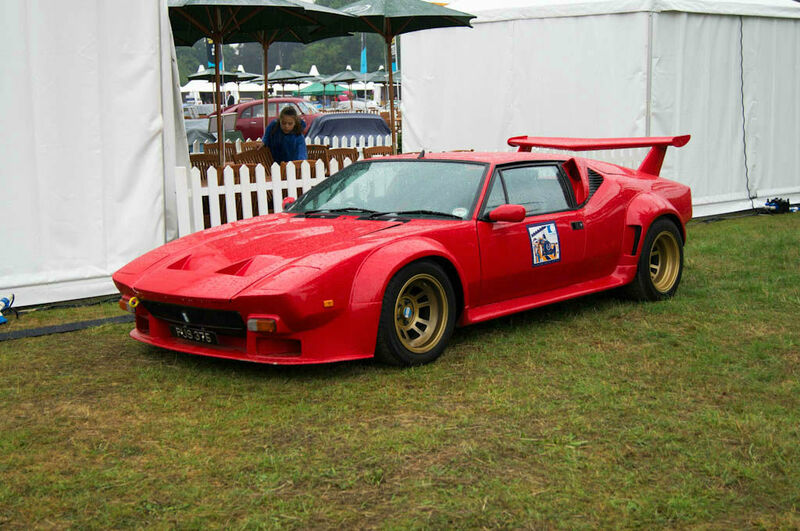 On the opposite side of the lawn (behind a tent I kid you not) was a Detomaso Pantera – rear wheels wider than a bus, another rarely seen classic. It always happens in this country – you can’t seem to plan an event (even at the beginning of September!) and escape without getting slightly soggy. 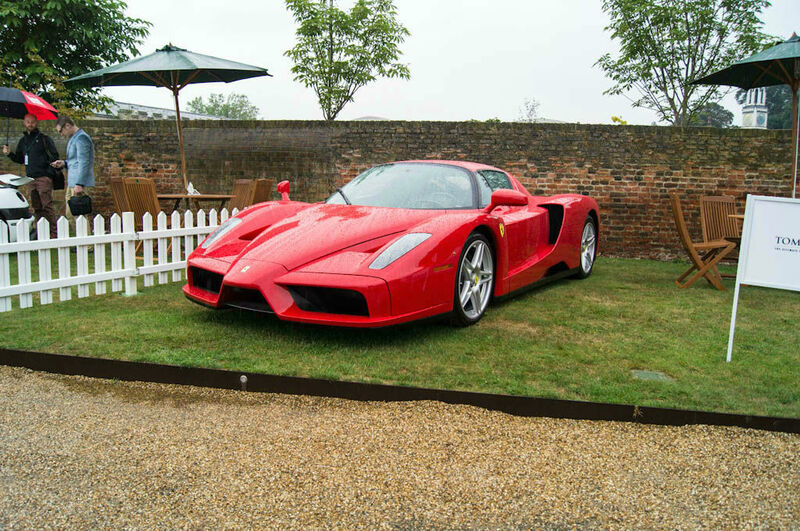 A few cars naturally remained under wraps, but the weather didn’t dampen spirits…well it wouldn’t with the type of hospitality at Salon Privé; lobster lunch, afternoon tea and Pommery champagne on tap, surrounded by million pound cars – what a perfect way to spend the day! 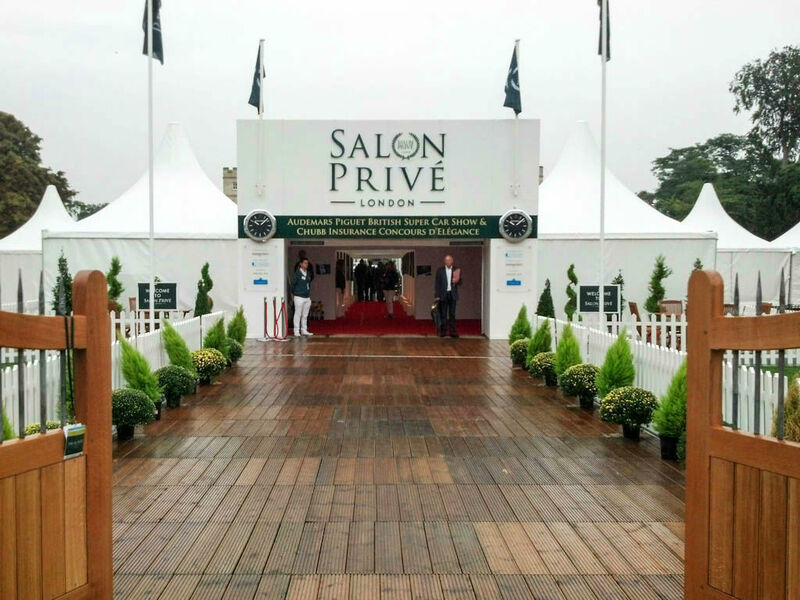 We look forward to attending next year – fingers crossed for some brolly-less conditions!